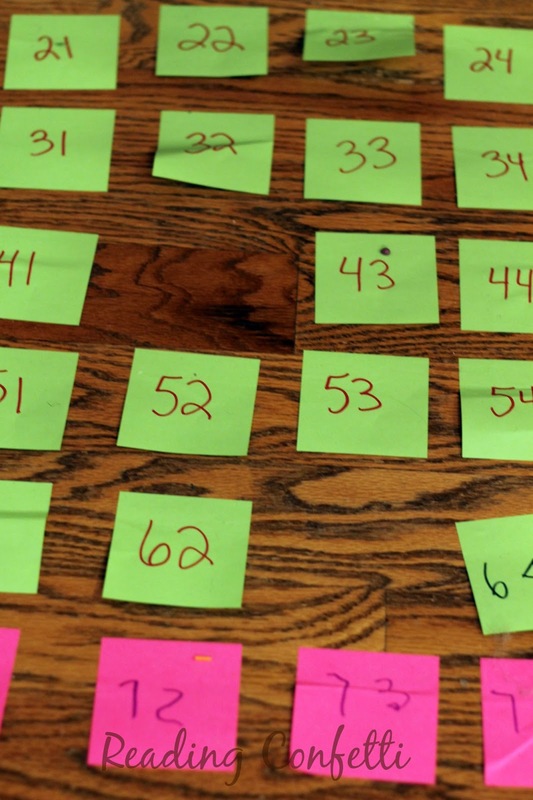 A hundreds chart is a graphic organizer for the numbers 1-100 with 10 rows and 10 columns. 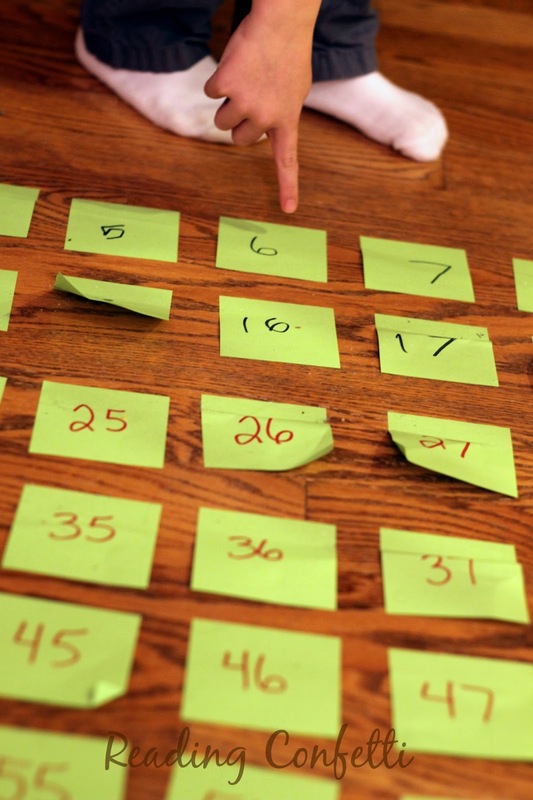 It's a tool that makes it easier for kids to see the relationships and patterns between numbers. 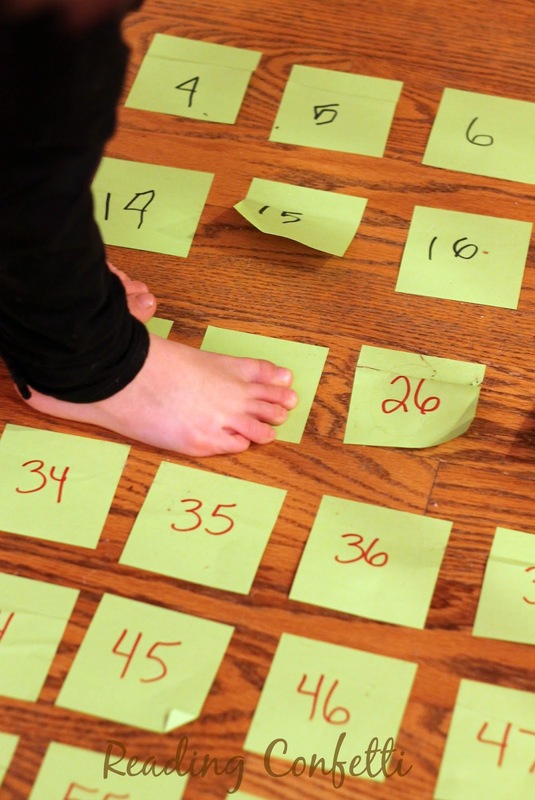 It's a great way to learn number recognition, counting to one hundred, and many more math concepts. 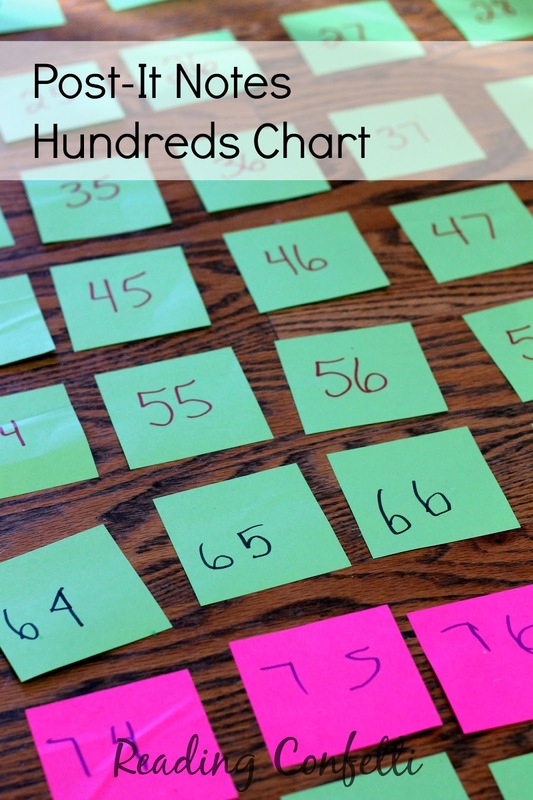 It's easy to make your own interactive hundreds chart using post-it notes and markers. I've been meaning to do a hundreds chart with my kids for a long time, but this one was their idea. I had pinned Coffee Cups and Crayons' Sticky Hundreds Chart and Playdough to Plato's Free Hundred Chart Printable but I hadn't actually done anything yet. We were playing with some number flashcards and putting them in order when my son said he wished they went to one hundred, which is a fascinating number for him lately. I grabbed the post-it notes and we started making our own chart. They wrote some of the numbers and I wrote some of them. It's been stuck to the floor for a couple of weeks now and we've discovered some fun ways to use it. We've used it to practice counting to one hundred. I say a number and they stand on it. I take numbers away and they put them back where they belong. 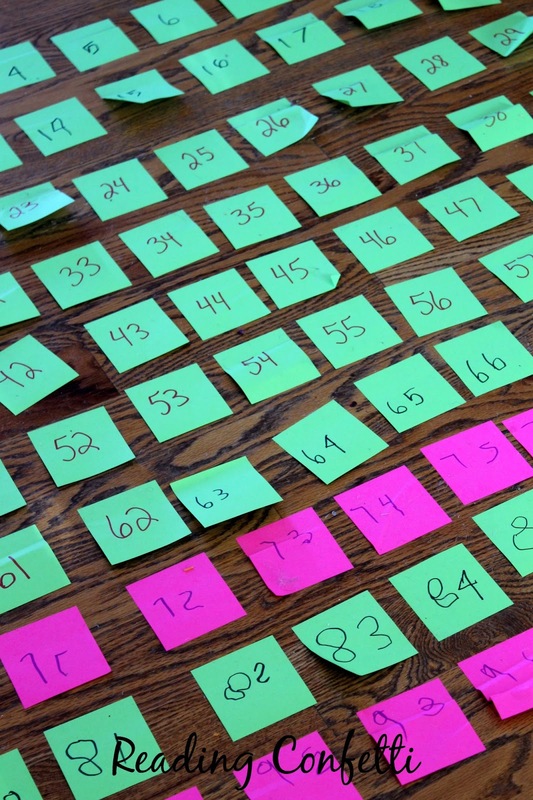 You can also use hundreds charts to practice skip counting and identifying odds and evens. We've had a lot of fun with our post-it notes hundred chart. Except for stepping over it constantly. Next time I think I'll put it on the wall.